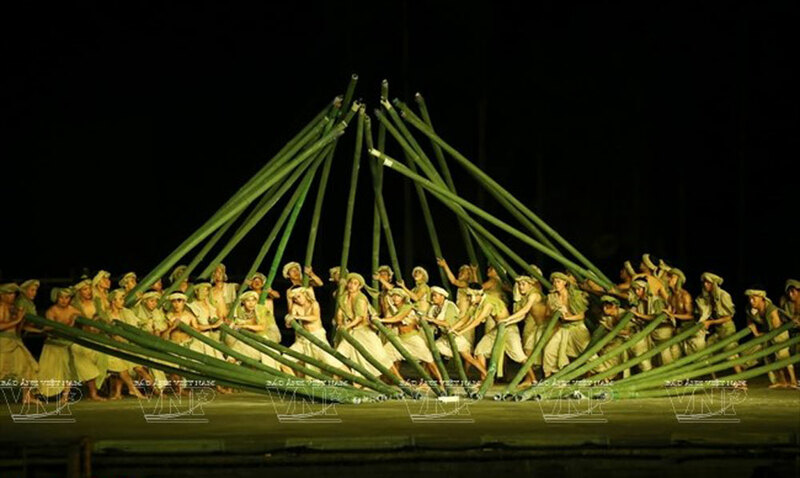 The show Hoi An Memories, the largest outdoor visual arts performance ever in Vietnam recalls the memories of Hoi An as a prosperous trading port over a 400-year period. 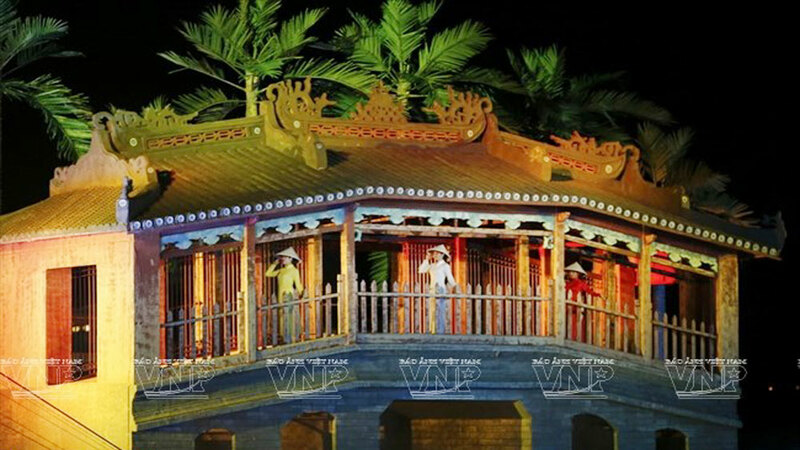 Iconic Pagoda Bridge appears in the show Hoi An Memories (Photo: VNA). 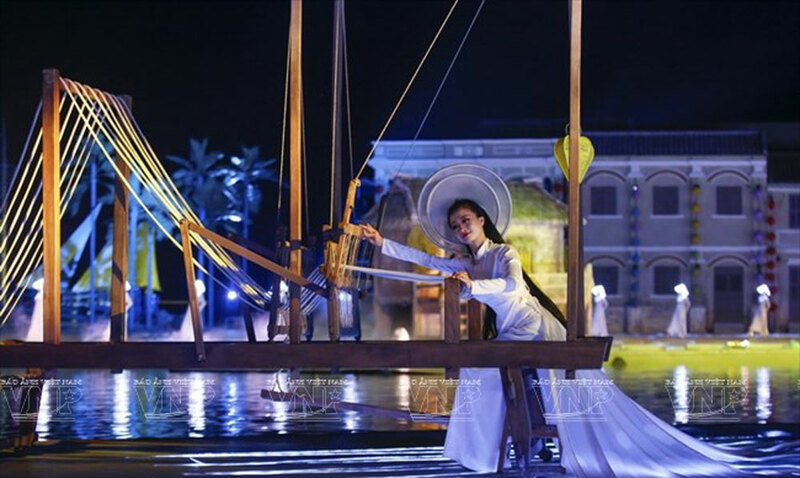 The show was debuted in March at Hoi An Impression Theme Park. 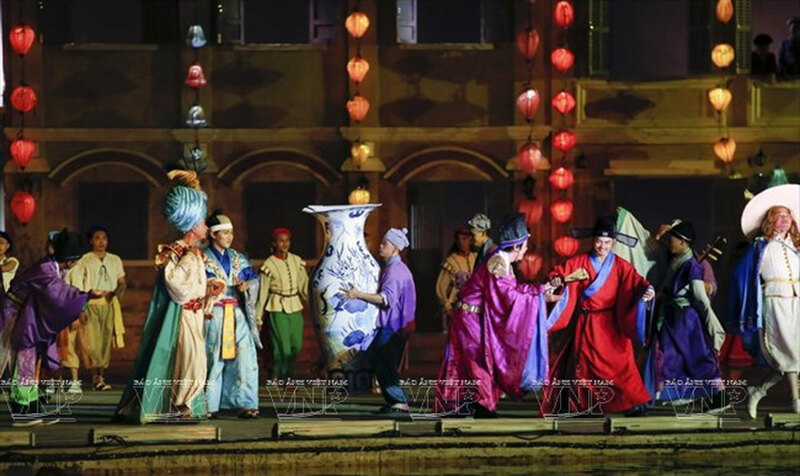 The colorful and musically dazzling night show has impressed both local and foreign visitors. (Photo: VNA). Hoi An Memories presents the 400-year history and development of Hoi An, which was a prosperous river port. (Photo: VNA). 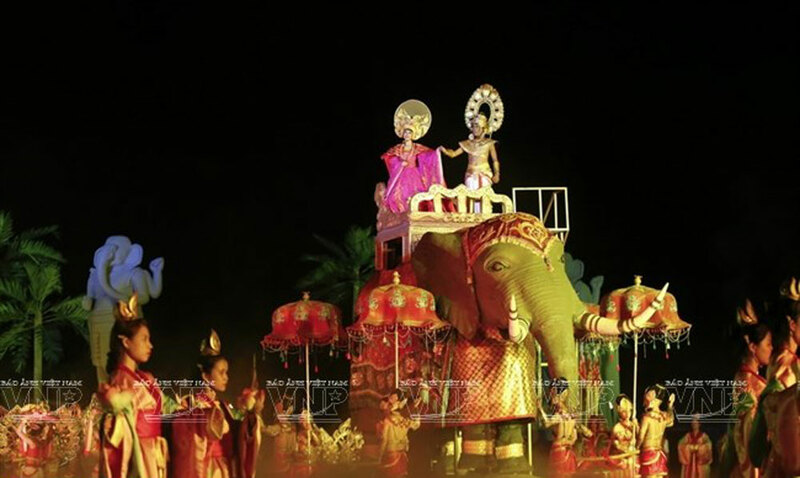 The marriage of Princess Huyen Tran, who was the daughter of King Tran Nhan Tong, and Champa King Jaya Sinhavarman III is enacted at the show. (Photo: VNA). 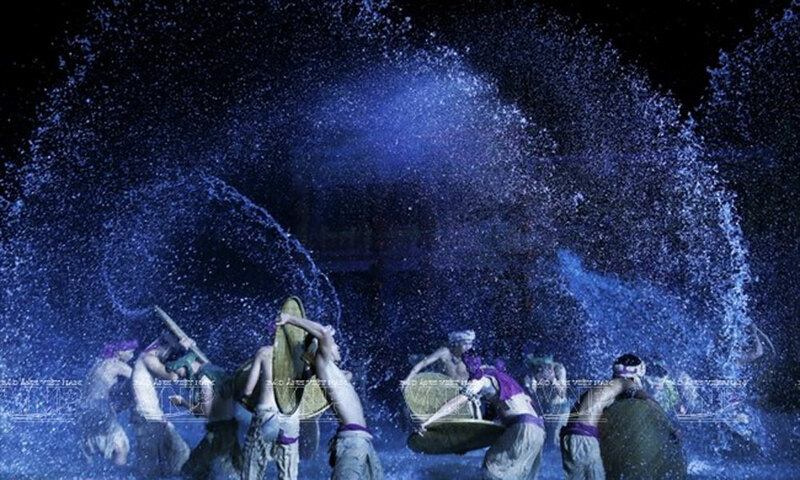 The show depicts the daily life of local people in the ancient town. (Photo: VNA). The theatre uses the water of Hoai River as its 25,000-sq m stage along with state-of-the-art lighting technology and sophisticated sound effects. (Photo: VNA). 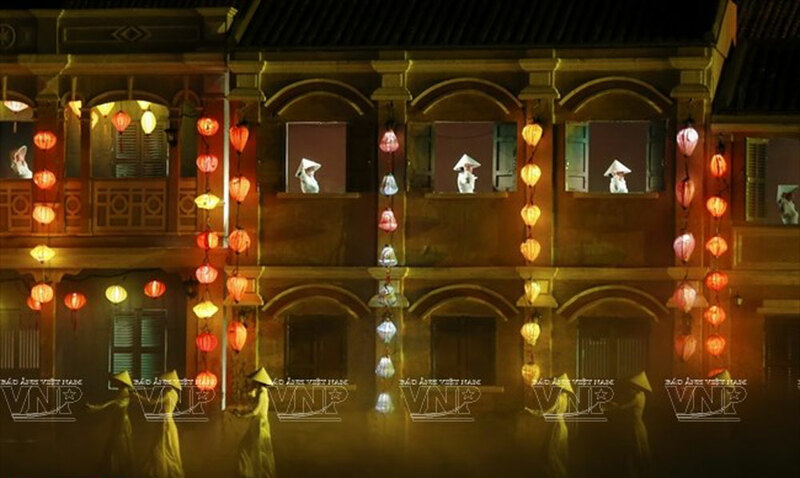 A poetic Hoi An town is illustrated in the third part of the show. (Photo: VNA). More than 100 girls in Ao dai (Vietnamese traditional long dress) on stage tell the story about the charming beauty of Vietnamese women and the peaceful life of the local people. (Photo: VNA).